Recently, Easy Living hosted a Technology Day for the Florida Chapter of American Institute of Building Designers (AIBD). 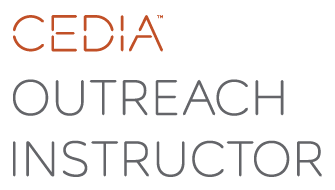 Mike taught two official CEU acreditted classes in association with Custom Electronic Design & Installation Association (CEDIA). Our guest speaker and presentaion was presented by Will Paleveda of LumaStream Systems in St. Petersburg. The day was a huge success! Mike Keese and Jim Lucia presented Mike Stram with a plaque for his hard work and dedicated service!